Small business owners and entrepreneurs often shy away from business plans, because they may seem too complicated. But, without a business plan, you may not be able to receive financing and you may lose sight of your goals. That said, you may learn that you do not need a plan or that your plan does not need to be complicated. How do you learn what’s best for you? The following links are categorized by sample plans, articles, business sites and sites for entrepreneurs, and they all offer free resources for business plans, templates and models. They also offer reasons to build a business plan (or not), and some sites even offer free advice in person or by phone. The links within each category are listed alphabetically by article title or by website name. Build Your Business Plan: Offered by Grand Valley State University, this Word document can provide a template for your business plan. Layout includes key elements, including market and financial analysis. Business Plan for a Startup Business [PDF]: Provided by Tulane University, this document outlines a business plan and narrates the information that needs to go into each category. Business Plan Template: This template includes a 40-age template built in MS Word along with ten Excel spreadsheets. Business Plans – Templates and Samples: The Canadian government offers this page filled with templates to help you begin to write a business plan. 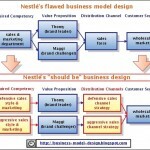 You may learn there is not much difference in business plans across most countries. Business Plans and Profiles Index: The Carnegie Library of Pittsburgh provides a great resource for business owners. They link to a number of actual business plans used by businesses and that you can use as a reference to build your own plan. Chamber Case Studies: Three basic fictitious company plans from the U.S. Chamber of Commerce for a manufacturer, a service provider and a retailer. Excel Financial Plan (Business Plan) Template for Product Manufacturing Business: Offered by Spreadsheet 123, this business plan is fully customizable and can be modified to requirement of almost any product manufacturing business. Free Excel Spreadsheets: Matt Evans, a CPA, offers free spreadsheet templates that range from capital budgeting to buyout analysis and financial charting. Free Excel Templates And Business Plan Templates: Download these PDF files to learn more about how to create a start-up business plan, how to grow an established business and more from this small business resource. Free, Handy, and Educational Excel Templates: Corporate Training Partners offers Excel templates for financial forecasts, price analysis, break-even visualizer and a few more for the small business owner. Free Sample Business Plan: This offer is made by a group that offers plans for a charge. View each component of this plan through a visual concept as well as through tutorials. Free Sample Business Plan Template: Jian software offers a free PDF template download for a sample business plan. Learning Systems, Inc. [PDF]: This example shows how a plan might look for an online education business. Includes a profit and loss statement, exit strategy and funding. More Business: This page includes links to a variety of business plans, from a bike shop to a fast food restaurant. NEBS Business Plan Tool: Use this online tool to create your business plan and save it in a word processing program on your hard drive. NPower [PDF]: This example offers great ideas for anyone who wants to start a nonprofit business. Restaurant Business Plan Template: This download is offered by Restaurant Owner, a site that focuses on the restaurant business. Sample Business Plan: Jaxworks provides an online example of a business plan for a surveying and equipment company. 10 Great Business Plan Ideas: This article is one of many offered for free by Business Plan Master. A Step-by-Step Business Plan Workbook [PDF]: MasterCard has provided a 31-page document that helps you avoid the most common mistakes and that can help you keep your focus on key points. Avoiding strategic errors in your small business plan: Learn some tips from this article about small business plans. Business plan development tips and template for online ventures: This article covers business plans for those who want to develop online-only businesses. Business plans and marketing strategy: Learn more about how and why to build a business plan through this article. Critical Steps to Writing a Business Plan: Learn more about why you might need a business plan and how to slant it to a specific audience. Developing Your Business Plan: This article contains a business plan outline, plus plenty of resources (see the links at the bottom of the article). How to Make a Business Plan: GrowThink offers ideas on how to write a business plan, including a sample download. How to Write a Business Plan: Offered by PlanWare, this article provides information on how to write a plan, including an outline. Nonprofit Incorporating – The Business Plan [PDF]: This article covers every aspect on how to create a nonprofit business, an article that is a must-read before you build the nonprofit business plan. Sample Business Plan and Business Plan Tutorial: The plan is an outline, but the article is worth noting for its attitude about going into business without a plan. The Tactics of Creating a Business Plan [PDF]: This article takes an in-depth look into why you need to create a business plan and how to execute one from beginning to end. The Zen of Business Plans: Social network guru Guy Kawasaki puts his spin on business plans. Your Business Plan: From Concept to Reality: Learn how and why you might need a business plan, and gain insight through this Small Business outline for a plan. 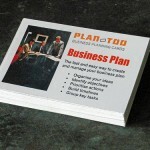 Bplans: Use this site to find business plan templates and outlines for all types of businesses. The site also includes how-to articles, blogs and more. Center for Business Strategy: The site provides sample business plans, guidelines, Web resources and other tools that can help you hone a business plan to its core essentials. Family Business Experts: If you want to build a family business, you might want to check out this site. It includes advice, sample business plans and other tools geared specifically toward a family-grown business. JBV’s Competitive Edge: View this site’s latest business plan guide and learn more about how to start a business from this site’s knowledge base. Mplans: A sister site to Bplans listed above, this site is geared toward accompanying marketing plans for your business. the site includes sample plans, marketing tools, articles and resources. My Own Business: This free business course is geared toward the entrepreneur who wants to start his or her own business and to the individual who has an established small business and would like to see that business grow and expand. Score: The counselors for America’s small businesses offers a page filled with generic business plans for start-ups, small businesses and nonprofits as well as a site filled with help and suggestions. Small Business Administration: This link leads to the portion of the site where you can manage a business from its start to its success. Small Business Trends Radio: This site offers podcasts, a chance to become a guest on a podcast and many other tools for start-ups and small businesses. 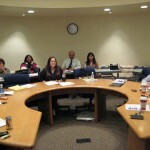 The Small Business Institute: This organization helps to meet the needs of ethnically diverse small business. they will help you develop a business plan and other preliminary documents. Entrepreneur: A name that many small business owners have come to trust. Learn about small businesses and the entrepreneurial spirit here, and gain access to business plans, articles and other tools that can build your business. Entrepreneurs-Journey: This site is geared directly to Internet business and blogging with useful articles podcasts for Web entrepreneurs that focus on business strategies. Entrepreneurship: The Ewing Marion Kauffman Foundation and the U.S. Commerce Departmentâ€™s International Trade Administration (ITA) have formed a new public-private partnership focused on leveraging best practices in entrepreneurial leadership to advance economic growth around the world. Take advantage of the offerings and resources offered by this partnership. Evan Carmichael: Visit this site to learn from famous entrepreneurs. Scroll down the page to gain access to links that can help you define a business and write it down on paper. Forbes Entrepreneurs: A world-famous business magazine offers articles, tips, advice and much more for the entrepreneur. Ladies Who Launch: A site for women who want to start a business. You can find a start-up package here as well as a great networking opportunity. Stanford University’s Entrepreneurship Corner: View videos, listen to podcasts and browse content organized by themes and keywords. Young Entrepreneur: No matter if you’re chronologically young or simply young at heart — this site provides great information, including business plan ideas and a forum.